MASVINGO – The city fathers are in a tight fix over the dumpsite relocation with the current one dangerously positioned close to people’s homes posing a serious health risk which the council has no capacity to deal with in the event of a disease outbreak. In 2014, the city council was allocated a new dumpsite at the far end of Victoria Ranch and work had already commenced for the relocation. The council was then stopped after it surfaced that the land they were using was sold to a lands commissioner one Ted Muzoroza. City mayor Collen Maboke told the full council meeting on Monday (January 28) that the council was supposed to take action immediately to avoid diseases. 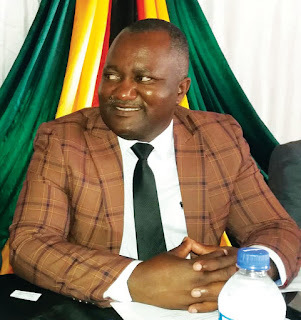 He also said there was need to engage the Minister of State for Masvingo Provincial Affairs Ezra Chadzamira in the matter so that the issue of a new site is addressed. “We need to pull up our socks on the matter. I’m very worried with the pace on this issue. If we do not address the matter urgently we will invite unnecessary diseases from the dumpsite. “Let’s talk to the minister to help us secure a new place for the new dumpsite,” said Maboke. He also suggested that council use bulldozers to cover the refuse to avoid it being scattered around. Chief Environmental Health Officer, Zvapano Munganasa said the council was in a process of hiring a bull-dozer to compact refuse at the Runyararo West dumpsite while negotiations for relocation take shape.